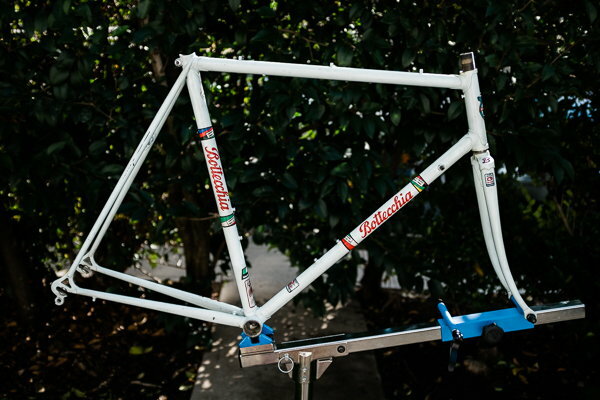 Thought I would share what I acquired as a base for my new build for the Eroica CA -- 1988 Bottecchia with Columbus Cromor tubing. I spent a couple hours initially with some rubbing compound working off the road grime and oxidation, and I've got a local auto paint jobber figuring out a custom paint mix for touch-ups. I can't wait to ride this thing!